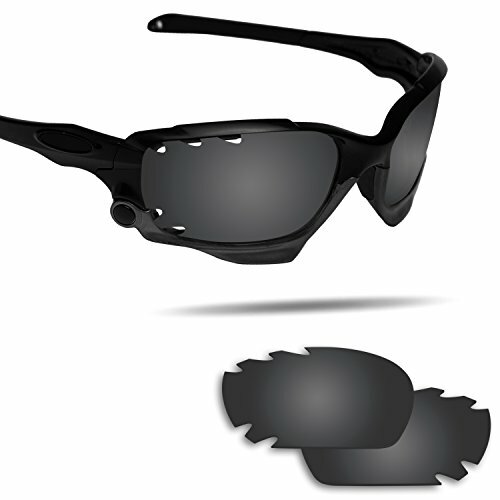 Fiskr™ is absorbed in engineering and manufacturing replacement lenses for Oakley Jawbone Vented Sunglasses. All the lenses are cutted precisely matching with your frames. We firstly upgrade the lenses with corrosion resistant, making lenses' long life come true. Anti4s Lenses: The outer layers of lens are specially coated, perfectly preventing from sea corrosion, oil stains, adhesive dust and slightly scratches, which extends the lenses' life-span and makes them easy to clean. Anti4s: anti-saltwater, anti-oil, anti-dust and anti-scratch. Non-polarized: The lens are made of thickened polycarbonate, 100% protect from UV.